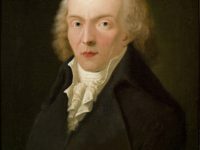 On January 27, 1775, German philosopher, anthropologist, theorist of so-called Romantic Medicine and one of the main representatives of German idealism Friedrich Wilhelm Joseph Schelling was born. Schelling was the main founder of the speculative philosophy of nature, which from about 1800 to 1830 shaped almost all areas of the natural sciences in Germany at that time. His philosophy of the unconscious influenced the training of psychoanalysis. Schelling’s philosophy forms the decisive link between Kantian and Hegelian philosophy as well as between idealistic and idealistic philosophy. Schelling came from a long-established Swabian pastor’s family. The father Joseph Friedrich Schelling, first pastor and deacon in Leonberg, from 1777 teacher at the higher seminary of the monastery Bebenhausen, was a respected orientalist. Schelling first attended the Latin school in Nürtingen, then the Protestant monastery school in Bebenhausen. With a special permit Schelling was admitted to the Tübingen Protestant Monastery in 1790 at the age of sixteen. There he studied Protestant theology together with Friedrich Hölderlin and Georg W. F. Hegel. A mentally very fruitful friendship developed between these students, which is why they were called the “Tübinger Drei” (Thübingen Three). The ideas of the three were mainly influenced by the spiritual world of the theological Enlightenment and the enthusiasm of the French Revolution. Their revolutionary spirit is reflected in the so-called Eldest System Program of German Idealism (1796/97), in which the idea of a New Mythology is represented alongside ideas on freedom and state criticism. Besides the study of Kant‘s philosophy, it was above all the writing Über die Lehre des Spinoza (On the Doctrine of Spinoza) by Friedrich Heinrich Jacobi that exerted great influence on the thinking of the three. Spinoza’s philosophy had a strong influence above all on Schelling’s early and identity philosophy. 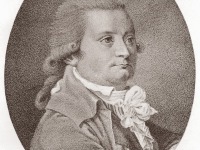 In his philosophical beginnings, Schelling was also strongly influenced by the philosophy of Johann Gottlieb Fichte, who at the time taught in Jena and represented a subjective idealism inspired by Kant. The proximity to Fichte’s thoughts is expressed in his early work Vom Ich als Prinzip der Philosophie oder über das Unbedingte im menschlichen Wissen (1795) and intensified after their time together in Jena. In 1801/02, however, he broke with his philosophical mentor Fichte, who is documented in their correspondence. After completing his theological studies in 1795, Schelling first went to Stuttgart as a tutor. From 1796 to 1798 Schelling studied mathematics, natural sciences and medicine at the University of Leipzig, thus laying the foundations for his natural philosophy. During this time he visited his fellow countryman Friedrich Schiller  in Jena, made the acquaintance of Johann Wolfgang von Goethe there (1796) and published his first natural-philosophical writing with the programmatic title Ideen zu einer Philosophie der Natur (1797). In August 1798 Schelling travelled to Dresden to study the local art collection. Here it came to the first contact with the circle of early Romantics around the brothers August Wilhelm and Friedrich Schlegel. In 1798, with Goethe’s support, the twenty-three year old was appointed extraordinary professor in Jena. In 1799 Schelling published his first draft of a System of Natural Philosophy and the System of Transcendental Idealism was created (1800), in which Schelling presented natural philosophy and transcendental philosophy as equal basic sciences. He also published a Journal for Speculative Physics (1800/01) in which he published the Account of My System of Philosophy (1801) – the fundamental work of his identity philosophy, a philosophy of the absolute strongly influenced by Spinoza. From 1802 Schelling worked together with Hegel, both publishing the journal Kritisches Journal der Philosophie (1802-1803). In 1803 Protestant Schelling was appointed professor of philosophy at the University of Würzburg, which was influenced by Catholicism, in the course of the reorganization required by secularization. 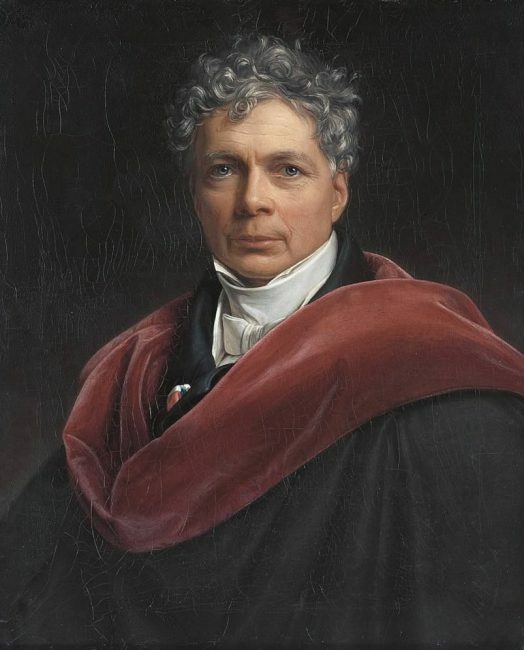 In the spring of 1806 Schelling went to Munich, where he joined the Bavarian civil service, became a member of the Bavarian Academy of Sciences and remained until 1820. From 1810 he worked for years on The Philosophy of the Ages, which would become a great philosophy and theology of history, but was never completed. 1820-1826 Schelling lectured as an honorary professor in Erlangen without permanent teaching duties. It was here that the Initia philosophiae universae (Erlangen Lectures) came into being, in which Schelling sketches a philosophy of mythology for the first time and thus the distinction between negative and positive philosophy. In 1841 Schelling was appointed to the vacant chair of Hegel in Berlin. There he mainly taught philosophy of religion. 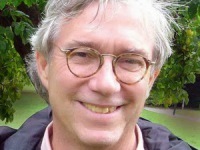 On 15 November he gave his inaugural lecture there and in the winter semester read “Philosophy of Revelation“. For different reasons the right-wing as well as left-wing Hegelians were equally curious about his lectures. But soon disappointment spread and interest in Schelling’s lectures waned. 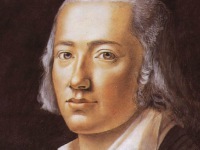 The transcript of some lectures on the philosophy of revelation was published by his enemy Heinrich Eberhard Gottlob Paulus without Schelling’s consent, combined with fierce criticism. It was the irony of fate that this very Paulus epitaph could still be read today by students of philosophy as Schelling’s Philosophy of Revelation. Schelling then withdrew from teaching, but remained and continued to work in Berlin. Schelling spent the summer of 1854 at the spa in Bad Ragaz in Switzerland. There he died on August 20, 1854. Schelling’s work has a broad thematic spectrum. It includes writings on epistemology, metaphysics, philosophy of nature and art, philosophy of law and religion. Throughout his life Schelling dealt with questions of natural philosophy. Schelling’s natural philosophical work always stood in tension with his transcendental philosophical approaches. While in the beginning the transcendental philosophical approach was in the foreground, in the later phases of Schelling’s work natural philosophy became increasingly important. In opposition to the classical Newtonian mechanics prevailing in his time, Schelling describes nature with the metaphor of an organism. In this context, the traditional metaphysics of substances is replaced by a dynamic theory of nature, which he presents as animated in itself and changing itself. The basis of its constant movement is nature’s productivity, conceived as infinite. The deduction of the entire spiritual content of consciousness, as it is contained in the three successive areas of art, religion and philosophy (= science), from the absolute as (after the awakening of consciousness) the creative ideal principle constitutes the philosophy of the mind or the system of transcendental idealism (1800) through which Schelling Fichte’s weighting in the relation spirit-nature extends and shifts to nature as cause. Adamson, Robert; Mitchell, John Malcolm (1911). “Schelling, Friedrich Wilhelm Joseph von” . In Chisholm, Hugh. Encyclopædia Britannica. 24 (11th ed.). Cambridge University Press. pp. 316–319. Böhme, Traugott (1920). “Schelling, Friedrich Wilhelm Joseph von” . Encyclopedia Americana.